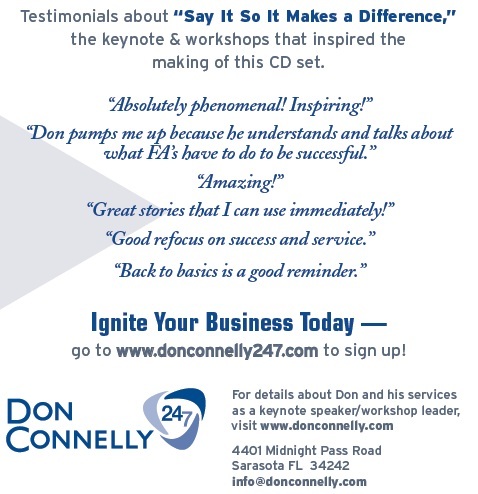 Hear hundreds of great stories, analogies and power phrases designed to help you communicate better with your prospective and current clients. 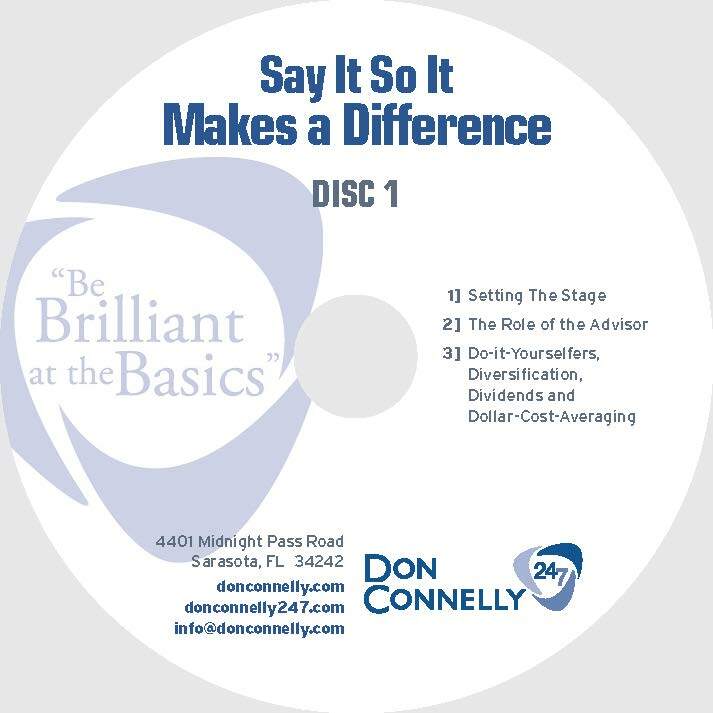 In his 2-CD set, Say It So It Makes a Difference, Don Connelly has compiled more than 100 compelling stories, analogies and power phrases you’ll want to master. They are all designed to help you simplify your message so you are better understood by your prospective and current clients. You’ll learn three simple rules of effective communication and you’ll be able to make a complicated message simple in a way that is unexpected, credible and emotional. 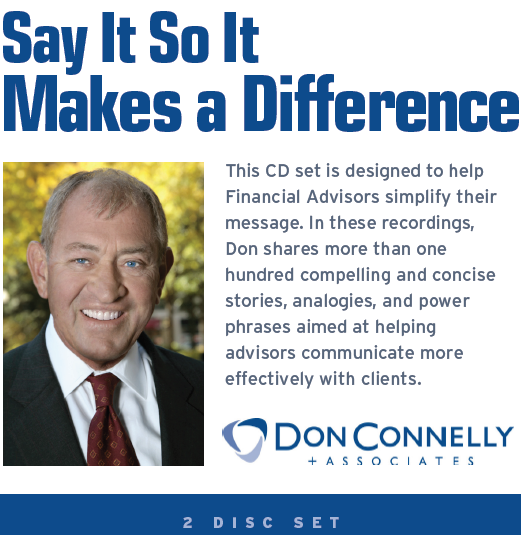 In this 2-CD set, Don has compiled more than 100 compelling stories, analogies and power phrases you’ll want to master. They are all designed to help you simplify your message so you are better understood by your prospective and current clients. You’ll learn three simple rules of effective communication and you’ll be able to make a complicated message simple in a way that is unexpected, credible and emotional. This program is backed with useful stories and insights. The examples have helped me to relate better and explain concepts in the simplest possible terms.